In the movie THRIVE, I acknowledged that cancer had run through my family like a raging river. Two weeks ago that river found its way back into my life when I got a call from a close friend who was diagnosed with metastasized head and neck cancer. Like so many who are now going outside Western medicine’s one-size-fits-all approach of surgery, chemotherapy, and radiation, I wanted to figure out the current state of alternative options, and especially the latest with medical marijuana now that it is gaining exposure and funding through its legalization. From my previous research for THRIVE, I discovered the role that patenting plays in determining which treatments are sanctioned and which get suppressed. The gist is that naturally-occurring substances cannot be patented in their natural state. Developing a synthetic version of a natural substance is what most pharmaceuticals do to create a patentable product, and that is what allows them to reap such huge profits. Today cancer treatment represents a 200 billion dollar a year industry and is largely derived from synthetic versions of natural plants. For example, Bristol-Myers Squibb owns the patent for Taxol/Paclitaxle, a chemical discovered in the Pacific Yew tree. It is now the first drug of choice for several tumorous cancers including breast cancer. They also own the patent for Etoposide, a semisynthetic derivative of a plant chemical epipodophyllotoxin, discovered in the Mayapple plant family. Eli Lily owns the patent for Vinblastine, a chemical discovered in the Madagascar Periwinkle in the 1950s. Vinblastine is first on the list for many doctors in treating a variety of forms of leukemia. 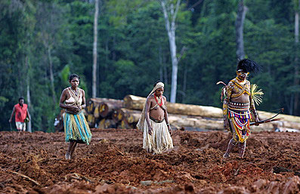 This is one of the reasons indigenous rain forests are being decimated. Pharmaceutical companies (often under the guise of environmental protection) team with developers to relocate tribes, steal their knowledge of the indigenous healing plants, modify and make a synthetic version of the plant, and patent the derivative they create. No benefit is awarded the keepers of this knowledge, nor is the land protected from which it is found. 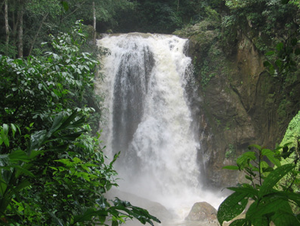 Because natural remedies can’t be patented, they are suppressed in favor of patentable (i.e. financially profitable) synthetic treatments. 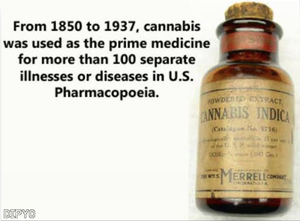 This includes cannabis, a plant that was considered a mainstay of treatment for a wide range of ailments until the late 1930’s and early 1940’s, at which time it was officially removed from the US Pharmacopeia and National Formulary, the organization that mandates the standards for all prescription and over the counter drugs. In fact, a law was passed in 1937 that made it illegal for any US physician to prescribe cannabis in any form. Like a lot of people, I used to think of cannabis primarily as simply a remedy for side effects of chemo. However, over the course of the movement to legalize medical marijuana these past few years, a lot of information has resurfaced about its effectiveness as an actual cure for cancer and other diseases. Sources as varied as the federally-funded National Cancer Institute and MAPS — Multidisciplinary Association for Psychedelic Studies — conclude that cannabis appears to have anti-inflammatory, anti-spasmodic and anti-bacterial agents. One remarkable fact is that humans actually have naturally occurring cannabinoid receptors, which seem to respond to cannabis in profoundly healing ways. 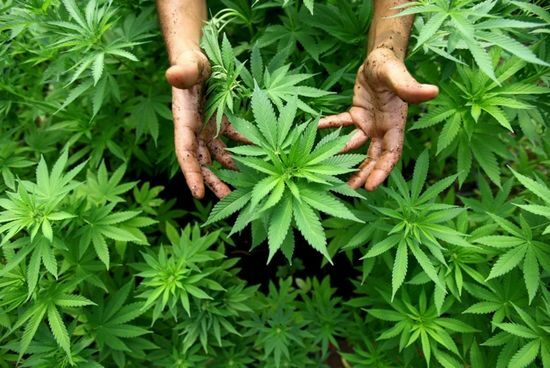 The plant can be bred to have different ratios of tetrahydrocannabinol (THC), cannabidiol (CBD, non-psychotropic), cannabigerol (CBG) and tetrahydrocannabivarin (THCV), and the effects can be targeted to treat specific ailments depending on the ratios of the ingredient’s phytochemical composition. Because of the suppression of the potential effectiveness of whole plant cannabis, it has been challenging to standardize processes associated with its use. The film Run from the Cure documents the story of Rick Simpson and his success using hemp oil to cure many people of cancer in Nova Scotia. Fellow Canadian Rick Dwyer was the head of the Maccan Branch of the Royal Canadian Legion when he got exposed to Rick Simpson and experienced for himself the curative properties of cannabis in the form of hemp oil. Mr. Dwyer’s father was cured of lung cancer using the oil. When he hosted a meeting for fellow Legionaires about the healing benefits he and others personally experienced from cannabis oil, the branch was shut down by the main office. Stories like this abound, and I have links below to the videos and articles I have found most useful in documenting this. In Santa Cruz, the Wo/Men’s Alliance for Medical Marijuana, WAMM collective, offers one of the few places in America that can assay the substance to target specific illnesses with customized proportions. The co-founder and director of WAMM, Valerie Corral, is a dedicated leader who claims to have personally witnessed dozens of people reverse their death sentence and live healthfully after undergoing cannabis treatment. This includes claims of healing everything from stage 4 metastasized cancer — Stage IV Anaplastic Lymphoma Kinasepositive (ALK+) non-small cell lung cancer (NSCLC) to myoclonic-astatic epilepsy (MAE or Doose syndrome) in children. Many have utilized combination therapies that include chemotherapies, other have opted not to engage in pharmaceuticals and have experienced success with alternative modalities alone. It is my personal understanding that our physical bodies have an innate self-healing/repair intelligence, and that all healing is the result of the body’s own self-healing and self-repair abilities getting what they need to do their innate job of restoring wholeness. Given the mind/body/consciousness connection, our belief in the effectiveness of whatever healing modality we choose, and our confidence in our capacity to recover, influence the outcome. I do not believe our confidence, belief and alignment entirely determine the outcome, only that they are major components. As Valerie said, these alternative modalities inspire self-healing through both the external and internal environment, and that includes our sense of the treatment’s value and our belief in its power to influence our particular imbalance. So consider the negative impact of the Western scenario that my friend was offered: The biopsy did not reveal if his head and neck cancer was HPV positive or HPV negative. Only HPV positive responds to chemo and radiation. So what was the oncologist’s plan? To go ahead and begin him on an intense chemo/radiation treatment with no diagnostic reason for him to have confidence that it would work. My friend felt that his own immunity and confidence would be forfeited for the benefit of pharmaceutical research. As it is, whether traditional or alternative, the stage of the cancer, tolerance of the medicine, spiritual perspective, and past treatment all seem to play a role in the effectiveness of any treatment. Whether I’m talking to people who are traditionally conservative, liberal or those outside the political belief system, when I turn the conversation to cannabis and medical applications of marijuana I have not found anyone who is opposed to exploring the treatment further. The expressed sentiment: If it can work, why not? Well, once again, that is the multi-billion dollar question. 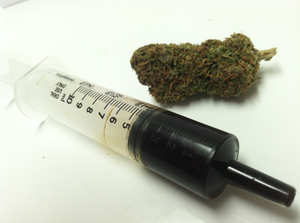 Natural cures such as cannabis threaten the pharmaceutical stranglehold on cancer treatment. This is where the danger, and the opportunity, come in. Having more mainstream participation can add research dollars and credibility to the issue. However, there is a lot of evidence that the goal of the pharmaceuticals is to find a way to patent cannabis and add it to their arsenal of cancer treatment, in a form by which they can maintain their profit machine and squeeze natural growers and individuals out of the process. One way this is already happening is in a secret lab in the South of England, GW Pharmaceuticals, which extracts, refines and studies the plant in their six different greenhouses, where they raise 10,000 plants each. At this undisclosed location, GW uses genetic engineering to create modified varieties and then clones each strain. They are already marketing one of their genetically engineered cannabis products in Canada as a sublingual (under the tongue) spray for treating muscle spasms associated with multiple sclerosis. If the cloned strains were to cross pollinate with naturally-occurring strains, we could easily see the organic cannabis plants compromised and ultimately eliminated. As the story of GMO corn demonstrates, with companies driven by profit and control, this threat to corner the market is not one we should take lightly. It behooves us to check the funding, motivation, associations and transparency of the mainstream organizations and corporations joining in on cannabis research and dissemination. In our desire to see this plant regain its rightful place in the array of natural treatment modalities, we had better not abdicate our discerning judgment or historical awareness of who runs these pharmaceuticals and what they have revealed their motives to be. Monsanto merged with Searle, Upjohn, and Pfizer to form Pharmacia, a huge competitor in the pharmaceutical arena. Their egregious history shows no sign of abating. Indeed, their power has only grown, with the Obama administration limiting their liability through the Monsanto Protection Act. In fact, one of the main funders of the legalization movement is George Soros, who is also a major stockholder in Monsanto. This is the kind of alliance we need to watch carefully and take seriously. Here’s why: George Soros is reported to have contributed $3.5 million dollars to the campaign in Uruguay for the legalization of marijuana. Soros sits on the board of the New York-based Drug Policy Alliance (DPA), the world’s most influential organization for legalization. His Open Society Foundation is also listed as a major financial supporter of Uruguay’s legalization. These efforts were successful and Uruguay now has legalized state controlled use of the plant. Uruguay’s President Mujica has made it clear his goal is and has been to create a unique genetic code for cannabis in his country. He says this is to “keep the black market under control.” In other words — to stifle the free market in favor of government control. 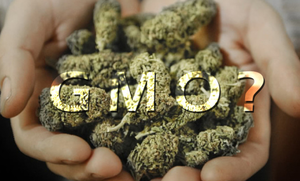 Genetically modified cannabis seeds from Monsanto would grant such control, and more. Monsanto has been behind Uruguay’s GMO-soybean and GM corn for decades. Combined with Uruguay’s State regulations and protection, the mega-giant is now poised to partner in the “experimentation” of cultivating a GMO cannabis product to be used as a patented pharmaceutical for medicinal purposes. Follow the money. Our discerning self-determination is what’s called for, and our right to heal is what’s at stake. 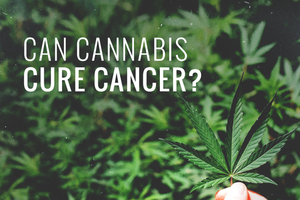 The research ignited by my friend’s recent diagnosis further fuels my belief in the exquisite healing powers of nature in supporting our bodies’ own healing abilities, and excites me about the potential for cannabis’ true, lasting and curative powers in treating cancer and other debilitating and otherwise-fatal diseases. It also sobers me about the insidious ways that mainstream research can be used to corner the market on something nature provided for us all to explore and apply. I will continue to post further information on how we can protect natural cannabis, and support the transparent research that is needed, as well as other info I find while navigating the challenging and promising field of medical marijuana. I also encourage you to watch THRIVE and check out our website to review the full picture of how all this fits together with other efforts to consolidate power and control, as well as effective actions people are taking to empower real, lasting solutions all over the world. Below are links to films and articles that I have found to be informative in the past few weeks. I do not vouch for their factual integrity, only their value to me as resources in my inquiry. Please share your resources and experiences as well. Together we will be unstoppable as we reclaim our right, and our true capacity, to heal. Cannibidiol turns off gene in breast and other cancers. List of ongoing studies. This page reflects a search specifically for “cannabinoid”, but can be modified to get other information. Analysis of government owned patent 6,630,507 for medical marijuana. GW Pharmaceuticals patent on cannabinoids. 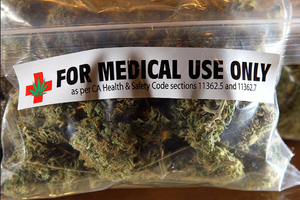 Analysis of history of medical marijuana and patents on treatments. Dr. Gupta Talks about Government’s Cannabinoid Patent — Medical Marijuana Inc.
GW Pharmaceuticals patents on cannabinoids as well as claim to other plant extractions. Analysis of GW Pharmaceticals patents on cannabinoids. History of cannabis along with good patent info. Monsanto getting into the GMO marijuana business. Monsanto, Big Pharma, Uruguay partner in synthetic cannabis. Monsanto and impact on marijuana vis a vis GMOs. 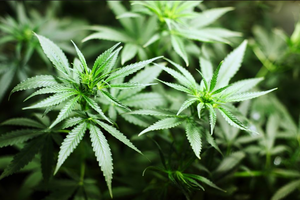 New Israeli company in GMO marijuana market. Analysis of GMO marijuana in Colombia. Analysis of GMO marijuana as a means to terminate other strains. 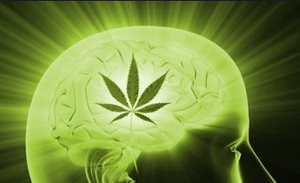 Information about cannabinoids related to science, medicine, law & politics. The ICRS is a non-political, non-religious organization dedicated to scientific research in all fields of the cannabinoids, ranging from biochemical, chemical and physiological studies of the endogenous cannabinoid system to studies of the abuse potential of recreational Cannabis. International source for cannabis seeds. The Realm of Caring is a 501(c)(3) non-profit organization that has been formed to provide a better quality of life for residents of Colorado affected by Cancer, MS, HIV/AIDS, Epilepsy, Parkinson’s, among many other debilitating conditions through the use of concentrated medicinal cannabis oil (Realm oil) provided by Indispensary/Stanley family. Offers cannabis-based treatments for cancer. WAMM is a collective of patients and caregivers providing hope, building community and offering medical marijuana on a donation basis. 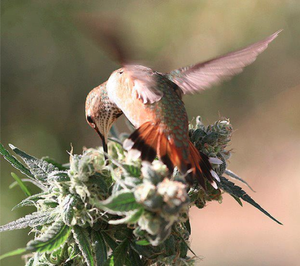 The Arizona Hemp Center seeks to build a community by connecting eligible medical marijuana patients with doctors and dispensaries. Website for creation and treatment of cancer with cannabis. Constance Finley’s formula for cancer-curing cannabis. We hosted a live event on November 14, 2015 to discuss the healing abilities of cannabis with special guest experts from around the country. 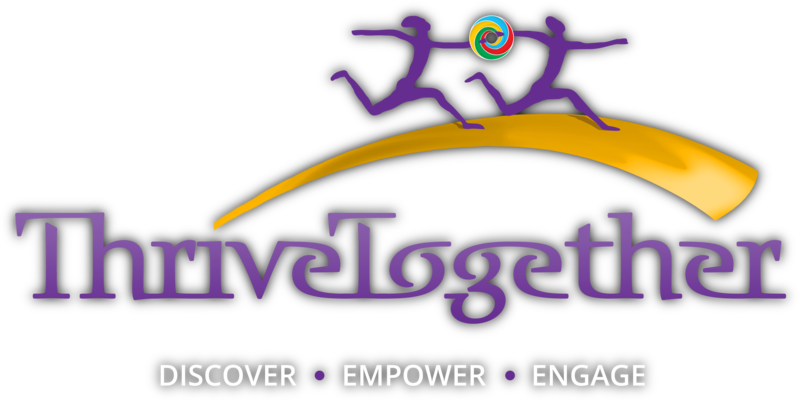 ThriveTogether subscribers are able to watch an archive of the event found in the ThriveTogether portal.